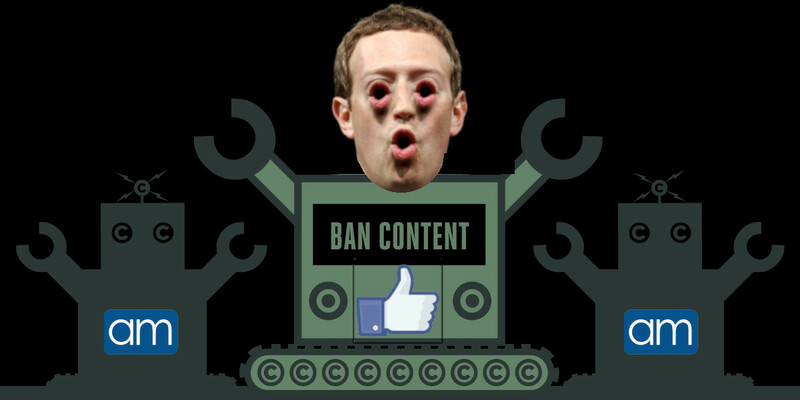 Though Facebook's lobbying associations spent the whole debate over the EU Copyright Directive arguing (correctly) that algorithmic filters to catch copyright infringement would end up blocking mountains of legitimate speech (while still letting through mountains of infringement), Facebook secretly told the EU Commission that it used filters all the time, had utmost confidence in them, and couldn't see any problems with their use. In particular, Facebook endorsed Audible Magic's audio filters. Audible Magic also secretly lobbied the EU to mandate the use of its products, like a private prison company lobbying for harsher sentences. Its lobbying materials were an Orwellian masterpiece of doublespeak and deception. Part of the entertainment industry's narrative about the Copyright Directive has been accusations that Big Tech was spending a fortune to lobby against regulation. And while there was an ocean of dark money spent over the Directive, it was mostly spent by proponents of the Directive, and far from objecting to being thrown in the copyright filter briar patch, Big Tech was secretly not all that upset with the idea that the EU would force every small competitor to shut down, leaving a wide open field for American companies to dominate the internet forever. The Facebook lobbying docs were uncovered by Corporate Europe Observatory, the same investigators who unravelled the lobbying spending over the Directive; they were then analysed and reported out by Laura Kayali for Politico. “It’s very common for the Silicon Valley to push against regulation at all,” said Margarida Silva, of Corporate Europe Observatory. “But those emails show very clearly that they have specific non-public policy positions they are lobbying on,” Silva added, referring to the internal Commission documents.